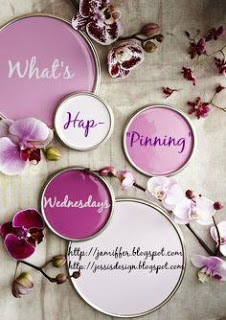 Hey ya'll and welcome to What's Hap-"pinning" Wednesday where you join Jenn and little ole me for a fun linkup weekly to tell us what's going on! Today I'm sharing some fun summer activities we've been up to lately and also some bucket list items I hope to do by the end of the summer. With that said, if you have any fun, toddler-friendly ideas or activities for the summer - send them my way! I'd love to hear your suggestions! Last Friday our little town kicked off its Summer under the Stars series where each month they play a different movie at the outdoor Crute Stage. You can bring blankets or lawn chairs and concessions are available as well. Its right in the heart of downtown off of main street and it is so fun ya'll! Last Friday, to kick off the 20th anniversary, they showed Disney's Beauty & the Beast. My parents took Andi because it was also rumored that Belle was going to make an appearance to meet all the little ones. 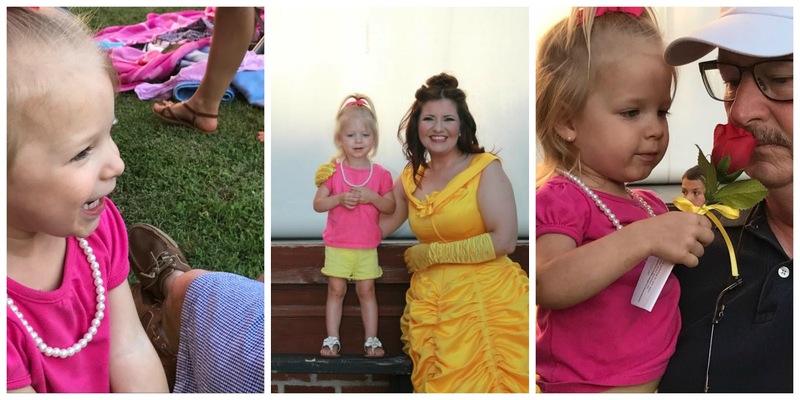 She had SO much fun and Belle even gave her a rose. She also sat through the entire movie which was shocking because it was way after her usual bedtime since they have to wait for it to get dark. We're already looking forward to the next one for sure! Can we talk about how tall my little girl looks here? WAH! 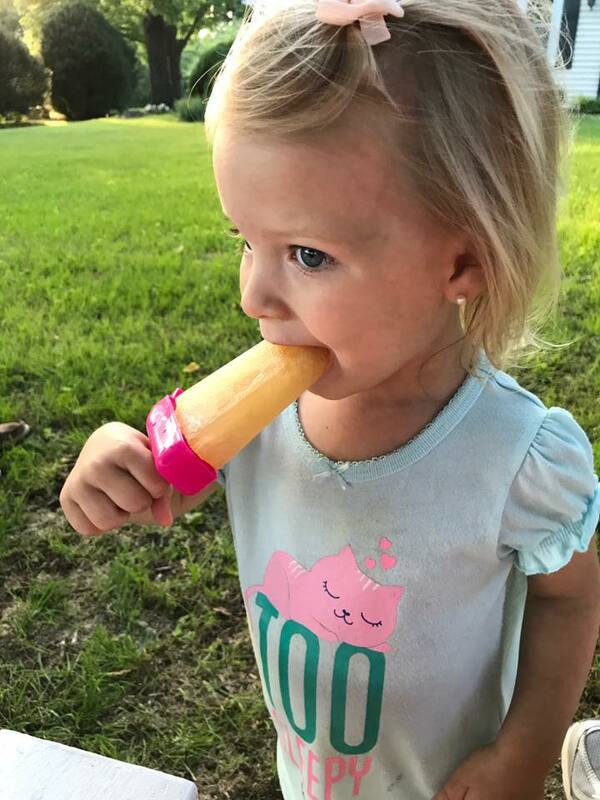 Also a summer staple, popsicles are a must in this heat! Back in the 90's, my Mama always made those simple plastic-holder, freezable popsicles with me and I was so happy when I saw them at Target the other day. I snagged a few and we introduced Andi to the simple goodness of homemade popsicles. This go-round we used Apple Juice and they were a huge hit but there are so many concoctions out there using fresh fruit, edible flowers and more! Summer bucket list wise, I'd love to take Miss A to the zoo for the first time. Actually, I'm dying to take her to the zoo and I can't wait. She loves animals so I know she'll be in heaven. The beach is a must in our household so that's obviously on the list and the pool but what other fun summer activities should I plan with her? Help a Mama out ya'll! Love the movie outside! And so sweet that they had Belle show up!! Oh my goodness, a rose from Belle!!! How special! A rose from Belle!! How sweet. Outdoor movies and homemade popsicles are summer staples! Andi is living the life! I know that outdoor spot. Oh that movie outside just sounds perfect! She is too cute holding that popsicle! What a fun time. I love that. I wish we had something like that here. 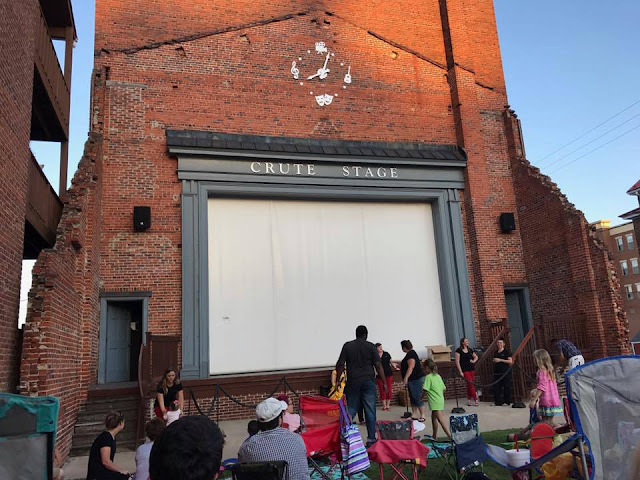 We have something similar to the outdoor movie around here... sounds perfect for summer nights! Oh my gosh! How fun are you?! Seriously, you inspire me to be more fun with my kids! Lol. Andi is so cute! I need those homemade popsicles in my life stat! Any good recipes you've found?! Remington loved the zoo last year! We're supposed to go tmrw but it's supposed to rain! Boo! Do you have any carnivals or fairs that have animals?! That's what I'm looking forward to doing with the kids at some point I hope!